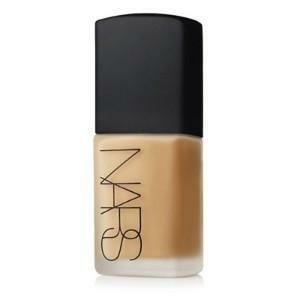 I got home from work yesterday and looked at my face in the mirror and noticed that my foundation was really not holding up well and was quite dry and flaky looking. 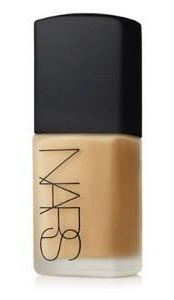 I think the problem is that I've been using the NARS Sheer Matte Foundation and, while my skin is oily, when I combine a matte foundation with an oil-free primer and mattifying moisturiser the result is too drying. I was getting ready for work today and I noticed my MAC Studio Sculpt foundation and that's when I had my epiphany.I decided to mix my Studio Sculpt with my Sheer Matte and I am loving the result! Whenever I use the Studio Sculpt on it's own my face gets really oily looking but when I combined it with the Sheer Matte it didn't look too shiny or oily and just had a very glowy, naturally dewy look to it. 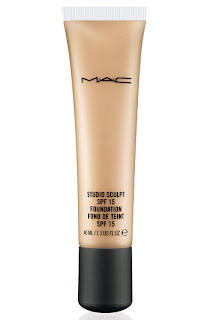 It also helped to fix up the colour issues with these foundations as my Sheer matte runs too light and my Studio Sculpt tends to run too dark once it oxidises. So there's a tip for you girls out there that have products that don't work for you on their own, don't throw 'em out and just mix them with other things instead and see what happens because you might just stumble on to a good thing!